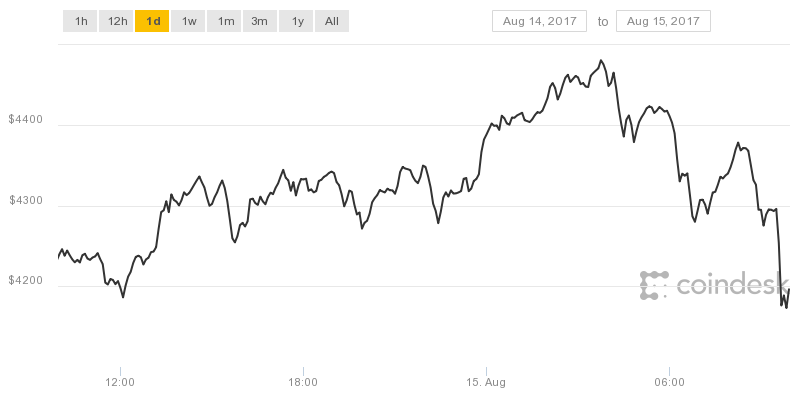 The price of bitcoin continued its recent bullish surge last night, reaching a new all-time high of over $4,480. Since May, bitcoin had been fluctuating in the mid to high $2,000s, then August 4 saw enthusiastic trading that catapulted prices upwards – quickly reaching the $3,000 mark and just nine days later passing $4,000 for the first time ever. Reasons for the buoyant market have been put down to growing interest in the cryptocurrency space by institutional investors, alongside the passing of a split of the bitcoin network to form a new cryptocurrency on August 1. When that event – which saw the creation of a rival digital asset called bitcoin cash – passed uneventfully, money seemingly held back by cautious traders poured into the asset. 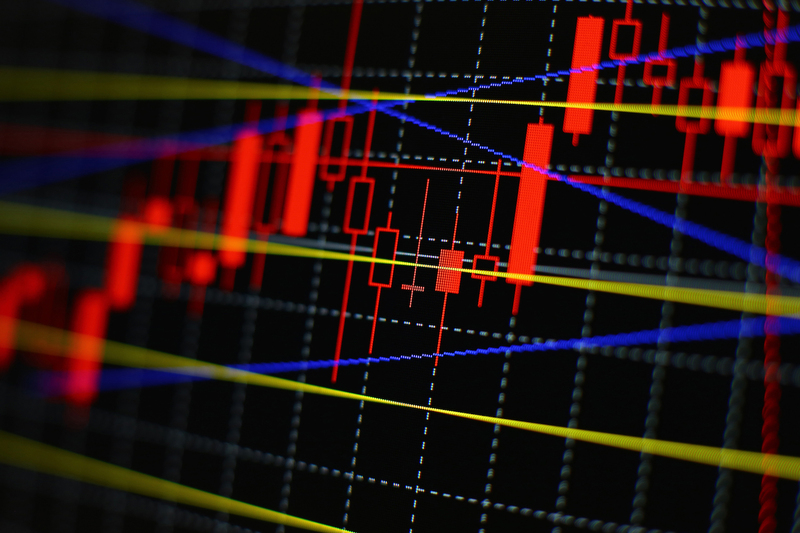 Since opening today at $4,382, however, prices across global exchanges have fallen somewhat, and at press time were around $4,200 – a drop of 4.15 percent, according to the CoinDesk Bitcoin Price Index. Looking at the industry more widely, the combined market capitalization of all cryptocurrencies today sits at around $138.7 billion – down from $141 billion yesterday, data from CoinMarketCap indicates. Bitcoin’s market cap currently stands at over $68 billion.